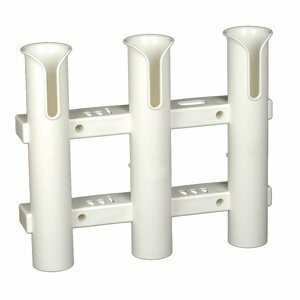 Are you looking for a fishing rod holder for your kayak? If you haven’t considered purchasing one (or a few), you really should! 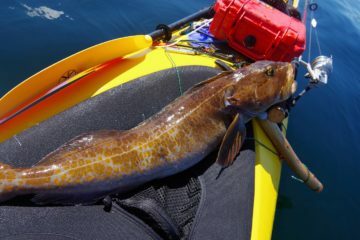 Rod holders in a kayak free up your hands for paddling, de-hooking fish or simply grabbing something to drink. 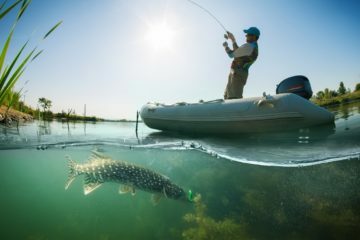 In this guide, we’ll help you find the best kayak fishing rod holder for your preferences and needs. Here at The Adventure Junkies, we strive to make every fishing day a successful one. 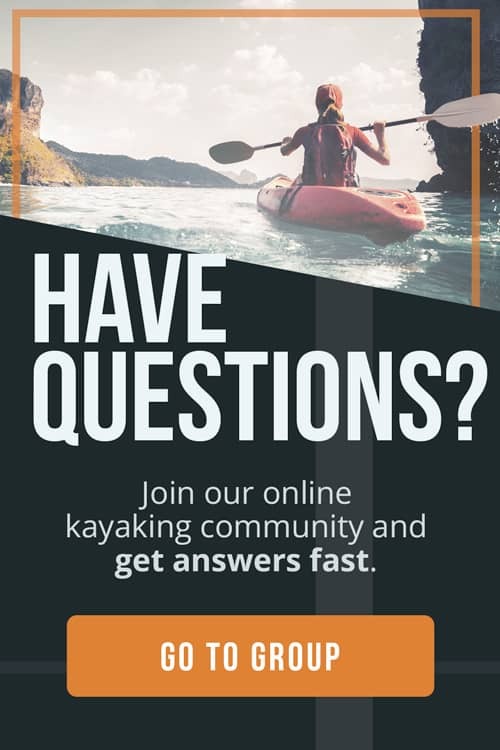 We specialize in knowing the best gear for every outdoor sport and situation, and want to share that knowledge with you. If you’re looking for great advice on gear or learning a new sport, you’ve come to the right place. 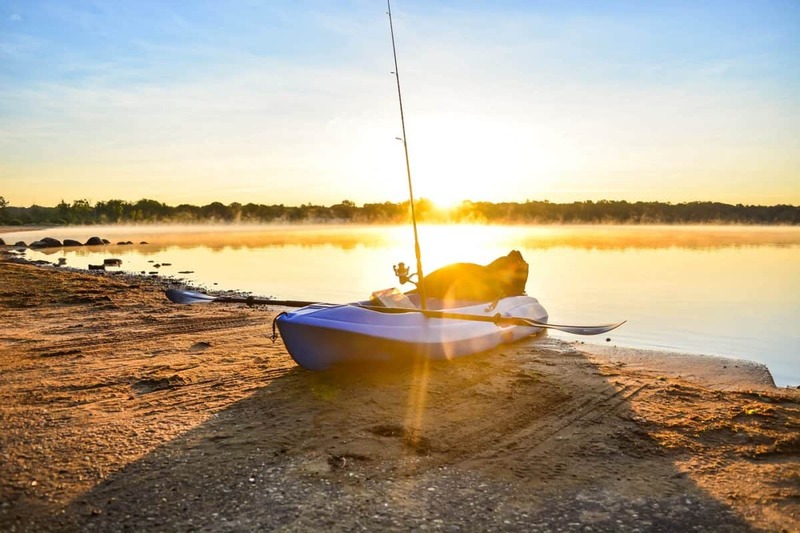 If you’re lucky enough to have a fishing-specific kayak, you probably already have some rod holders installed, as they usually come installed with the purchase. 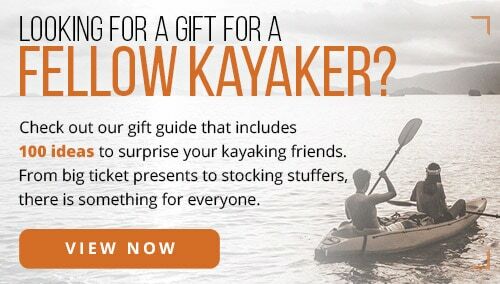 Maybe you’re looking to add a couple of extras, or maybe you have a sit-on-top kayak without any holders. 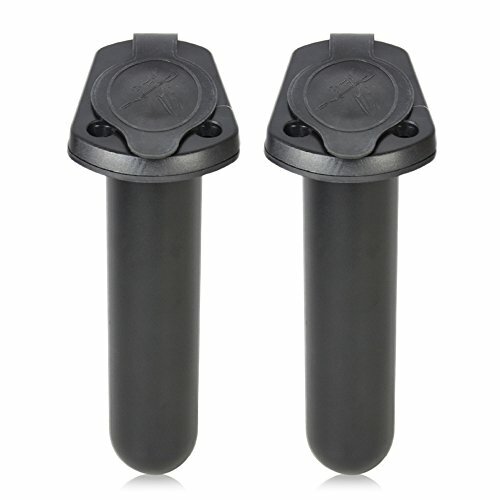 The main difference between kayak fishing rod holders lies in how they are mounted to the kayak. 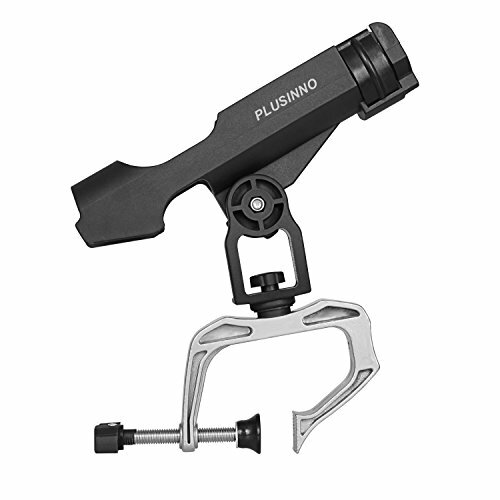 The four types are flush mount, adjustable, clamp and crate compatible. 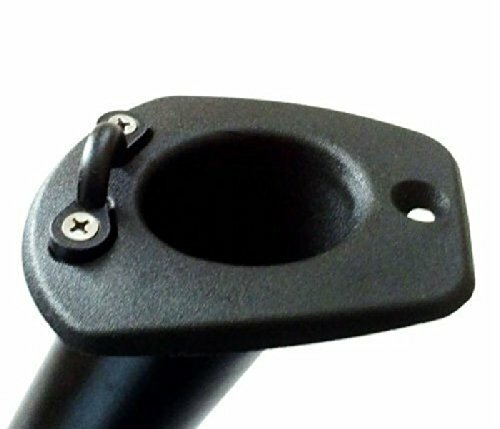 Flush mount rod holders must be mounted below the surface of a sit-on-top kayak. The handle of the rod will sit below the surface, while the reel and everything above the reel sit above. This type of rod holder is preferred by many for its sturdiness, clean appearance and clutter-free feel. When hooking or trolling for big fish, nothing beats a flush mount rod holder. There are no weak parts or adjustable pieces that may shift upon strike. 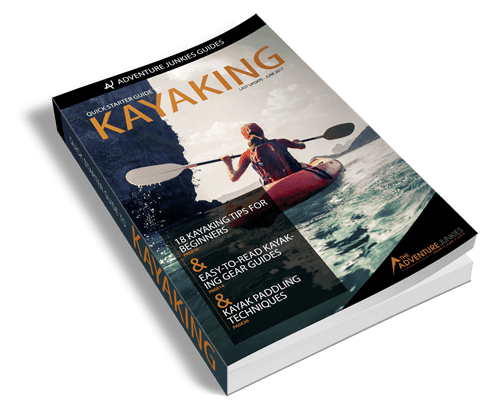 The downside of flush mount holders is they sit relatively low to the surface of the water, being that they are flush with the surface of the kayak. Some fishermen prefer to raise their rod holder up a few inches to create a larger angle between the line and the water. It’s also a bit easier to turn around and grab the rod from the holder behind your seat when it’s higher. 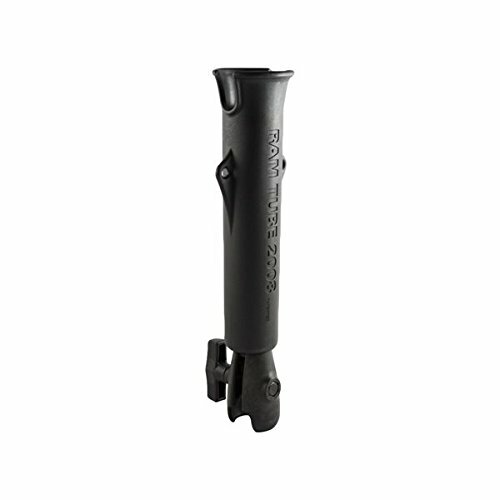 Many of the best kayak fishing rod holders available on the market are adjustable in nature. The attachment point is usually a round or rectangular plate of reinforced nylon composite at the bottom of the holder. You will have to drill into the plate to mount them. 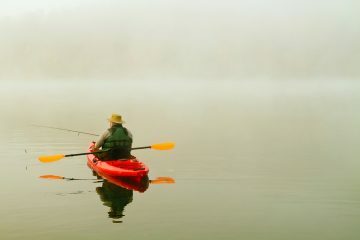 A small length of nylon typically extends below the deck of the kayak for support. 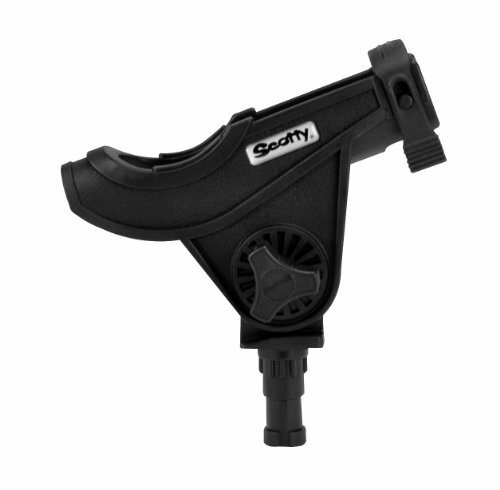 The adjustable nature of these holders is in a ball and socket or a rotating wheel, both locking into place. 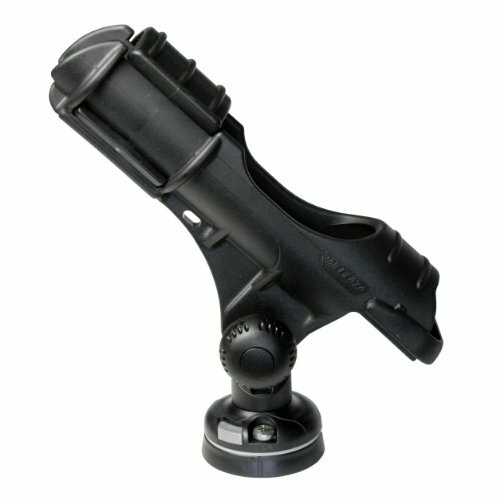 Choose the angle and direction of each rod holder for maximum control, performance, and security. All with all things mechanical, the more pieces there are, the more chances the system has to fail. In some instances, adjustable holders can move out of place when under the force of a striking fish or sudden jolt. Occasionally, you will see rod holders that mount to kayaks via clamps. This would be ideal for someone who is absolutely against the idea of drilling into the deck of the kayak. 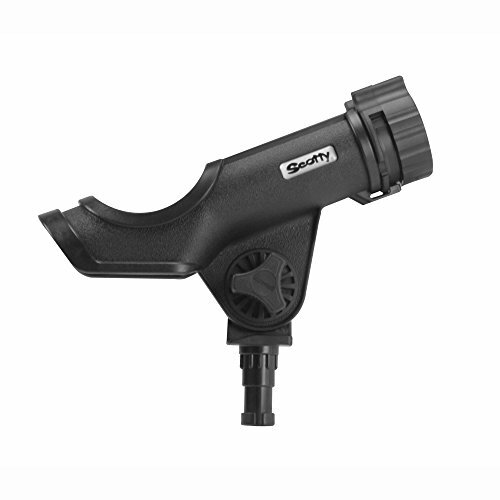 If you’re renting or borrowing a kayak, or simply like being able to move the rod mount around the kayak, consider a clamp mount rod holder. If you haven’t heard of kayak fishing crates, definitely check them out! They are loved by many in the fishing world. Some holders are meant to be mounted in a crate. Many times, these holders come with three rod slots on a single piece. 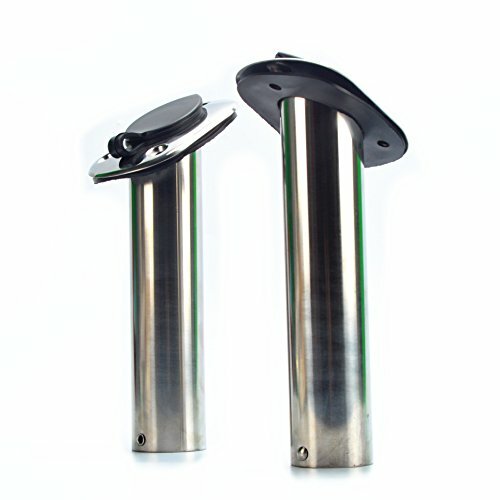 Rod holders are frequently sold individually, but also sometimes in pairs. Most fishermen will use more than one rod on any given day on the water, and in this case, there’s really no point choosing two different rod holders. In addition, package deals are a great value. Manufacturers typically offer the holders together at a few dollars cheaper than the price they’re sold at individually. Many rod holders you’ll see on the market will hold only single rods. 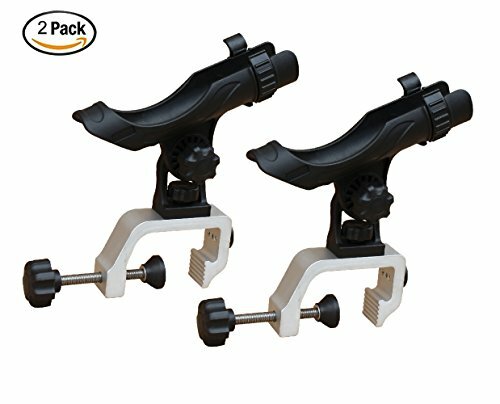 This is ideal for a kayak fisherman with only a few rods at any given time, who wants to be able to either mount them in a unique pattern or to adjust them individually. As mentioned above, some holders that mount to crates supply three rod slots. If you’re considering going the way of the kayak crate, look into multiple rod holders. Kayak fishing crates are awesome because they offer storage and rod mounting capability in one inexpensive package. You have the option to make your own (which is more customizable) or buy a package. If you buy a package, it will typically come with the crate, multiple rod holders, attachment pieces and sometimes extra goodies like pliers and fish removing tools.